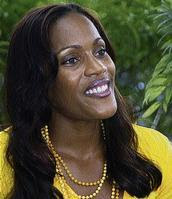 World 100m hurdles champion, Brigitte Foster-Hylton, was the track & field awardee at the recent Caribbean Awards Sports Icons (CASI) ceremony in Nassau, Bahamas. Foster-Hylton, who won Jamaica's first ever World Championships 100m hurdles gold medal, rounded off a very good season with seven consecutive victories including the World Athletics Final. World and Olympic 100m champion Shelly-Ann Fraser, the youngest nominee; Merlene Ottey; World and Olympic 400m gold medallist Tonique Williams-Darling; Debbie Ferguson-McKenzie; and Ana Fedelia Quirot were also nominated for the award. "I thank them for recognising me and I promise to do all that I can in the time I have left as an athlete, to bring pride and joy to my country and the people of the Caribbean with my performances on the track." Mike Fennell, president of the Jamaica Olympic Association and the Commonwealth Games Federation, was presented with the Administrator's award. Cuban high jump record holder Javier Sotomayor won the male track & field award while Vivian Richards of Antigua (cricket), Clyde Best of Bermuda (football), Mychal Thompson of Bahamas (basketball), Emile Griffiths of US Virgin Islands (boxing) and Sir Durward Knowles of Bahamas (sailing) were the other awardees.